Studies show that delicious protein recipes make hungry muscles happy. Try these 5 protein goodies on for size! Pssst, here's a pro tip: That tub of protein powder is actually a lot more than just an ingredient you simply dump into a smoothie or shaker bottle. With a little creativity and know-how, you can magically turn otherwise boring or "bad" foods into lip-smacking, health-promoting sensations that will forever change the way you use protein powders. Whether you're just waking up for your morning meal, pining for a quick snack, or hankering for a smart alternative to satisfy your sweet tooth after dinner, these recipes will get both your taste buds and muscles excited for more! If you love the combination of chocolate and banana, you'll go absolutely bananas for these bars. Created by Jaime Baird, Online Editor-in-Chief of FitnessRx for Women and IFBB Bikini pro, these bars combine the perfect amount of protein and carbs to serve as a post-workout treat. Even if you aren't coming out of a workout, you can still nosh on them anytime during the day. They're perfect for keeping around in the fridge or freezer. One downside of a low-carb diet is not being able to savor fluffy pancakes, but fret not: These amazing low-carb cakes are here to rescue you! 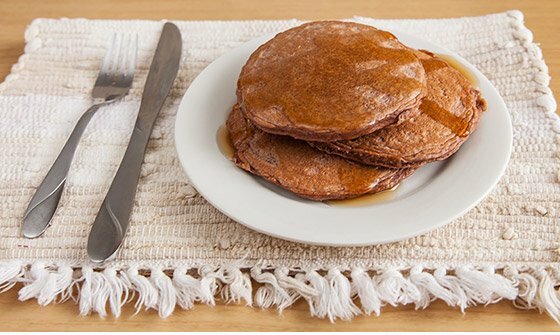 Born from the mind of Ms. Bikini Olympia Ashley Kaltwasser, these protein pancakes will meet your nutrition needs while punching your pancake-loving taste buds. 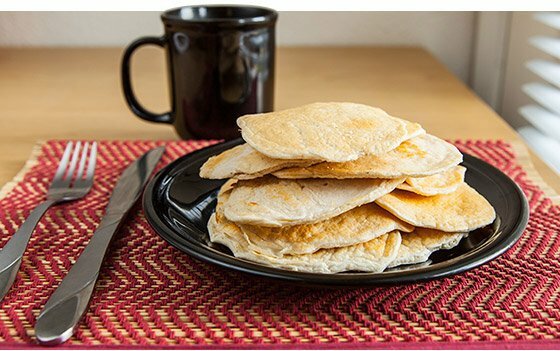 This high-protein pancake uses coconut flour, which has a low net carb content due to its high fiber content. Delicious and satisfying, these pancakes will keep you satisfied for hours. If you want to bump up the fat content or add that extra magical touch, melt a tablespoon or two of natural peanut butter in the microwave and pour over the cakes before serving. 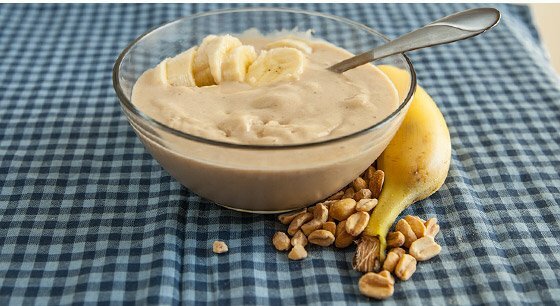 An icy-cold treat such as this creamy peanut butter banana ice cream is the perfect panacea to sizzling summer days without going off-plan. Filled with lean protein, healthy fat, and some fiber, it'll satisfy your sweet tooth while keeping you lean and giving you a brain freeze. You can also remove the peanut butter (gasp!) if you prefer a lighter option while dieting. Created by legend Rich Gaspari, this ultimate pancake serves up the perfect muscle- building mix to take in immediately after your workout. It's certainly a refreshing and portable alternative to your typical post-workout protein shake. This post-workout cake is rich in quality protein, high in complex carbohydrates, and contains minimal added fats. If using it at any other point during the day, simply smear with some natural almond butter or peanut butter to fold in those healthy fats.